We have had a fantastic time the last three weeks. 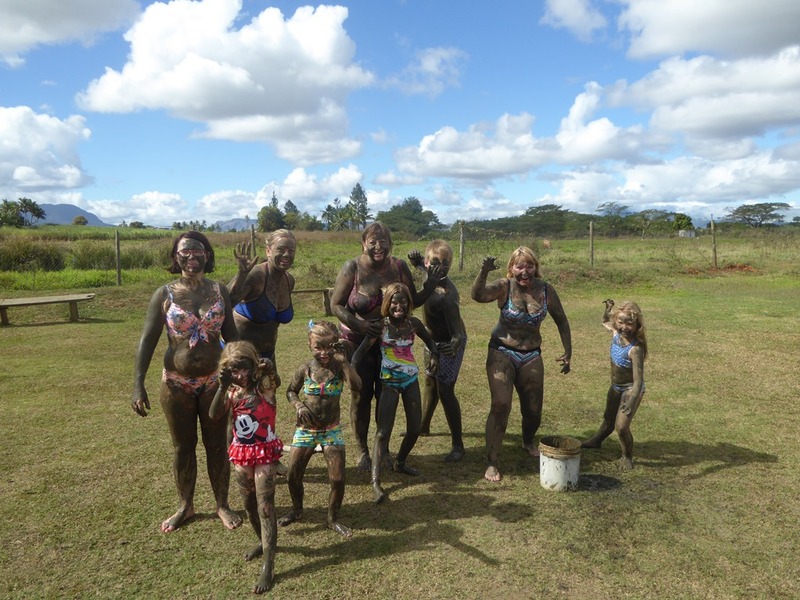 After all the fun we had with Shena and Kinsley, we said hello to our next set of visitors, Morag and Alice. They arrived in Savusavu tired after very long flights but with enough life to enjoy a pizza from the restaurant at the Copra Shed. The weather remained windy so we held there, letting the guests adjust to the time, wandering the town and playing around the boat. I got to fit the parts that Morag had brought out with her including, crucially the new baton ends for my mainsail. It took a morning to refit but I was far happier being back in good sailing order. 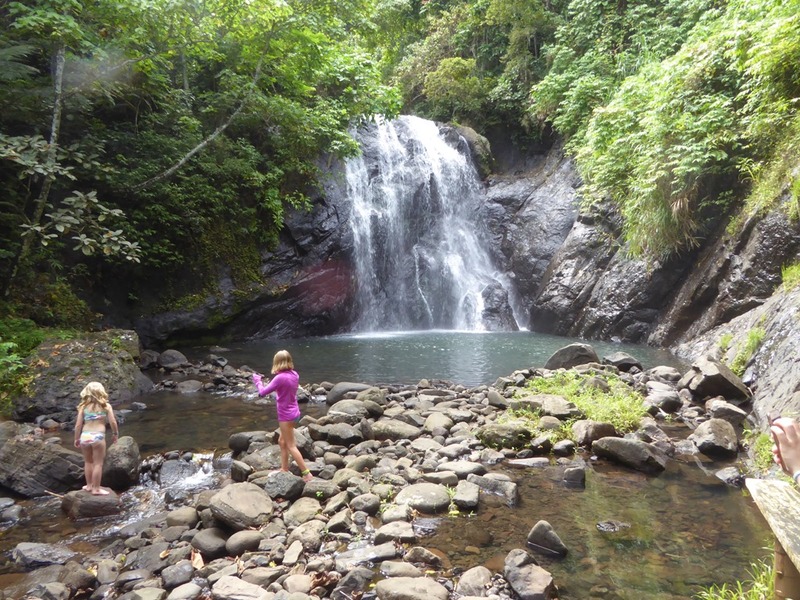 We also managed to fit in a visit to the nearby waterfall and lunch at the Koro Sun Resort. 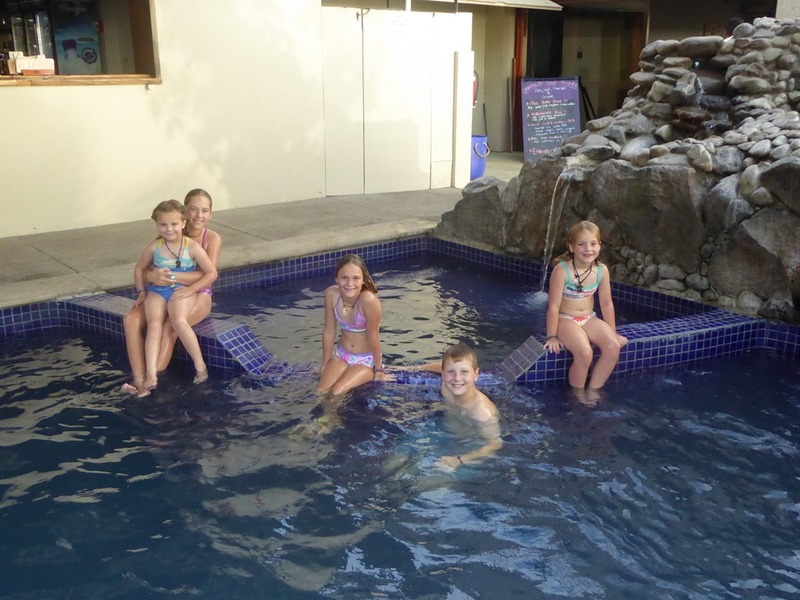 The kids enjoyed the kids pool, complete with water slide, while Morag and Lou retreated to the grown ups pool and relaxed in the glorious peace and quiet. Although the wind has been from the right direction, it has been unseasonably strong say the locals and I’ll concur. 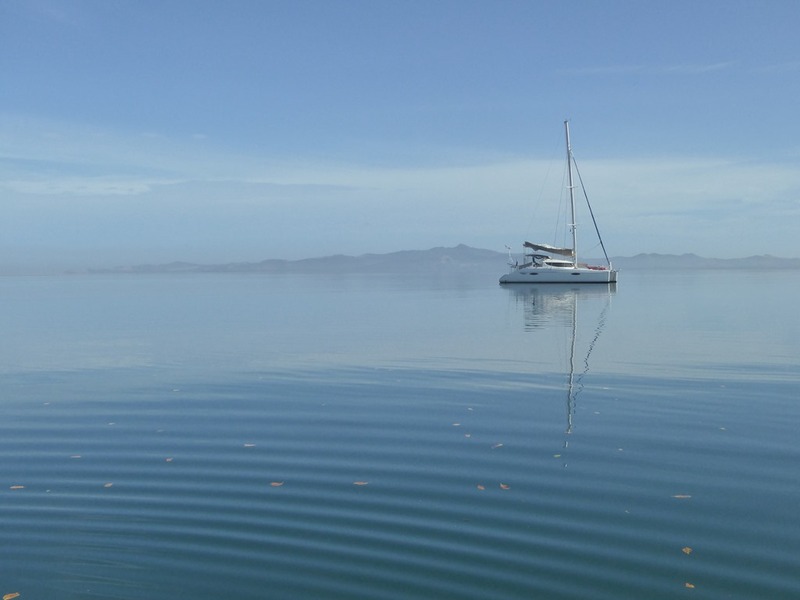 We waited another two days for the wind to drop to below 20kts and then headed to where we should have met them, Nadi on Viti Levu, the main island of the Fiji Isles. The route took us through the pass we had run scared off in the heavy weather and then around the corner to the enormous Bua Bay arriving just before last light. 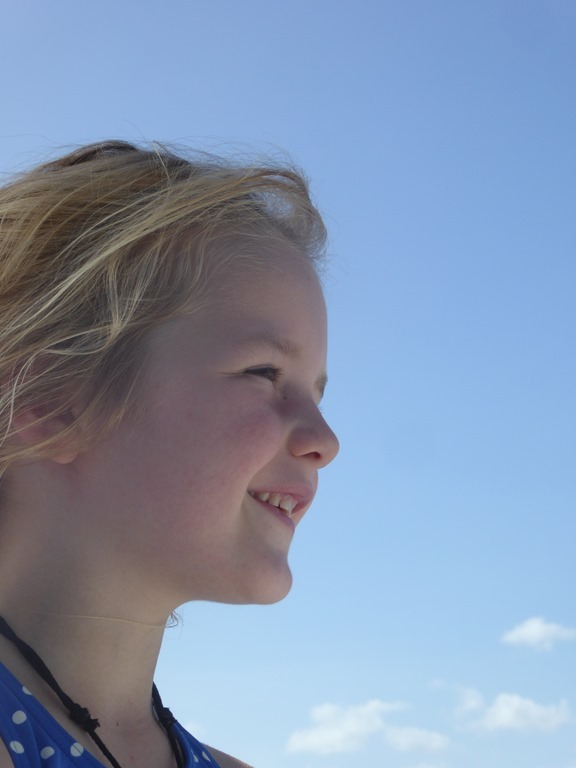 Alice, Bless her, quickly decided that I needed all the help that I could get on the helm and became my little shadow for much of our travelling time. 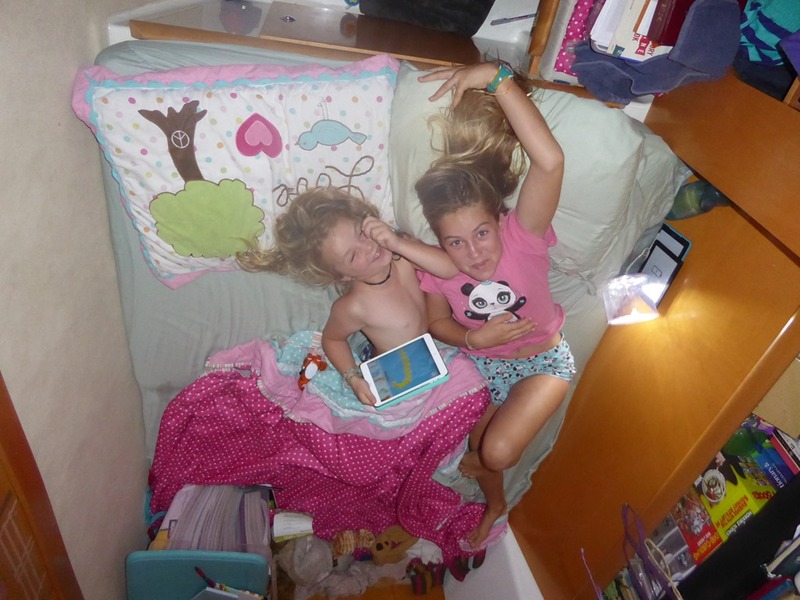 We anchored in 25’ of water just off the extensive reef that surrounds the bay protecting the mangroves. The next morning was beautifully still and crystal clear, a rare event here in the Pacific. 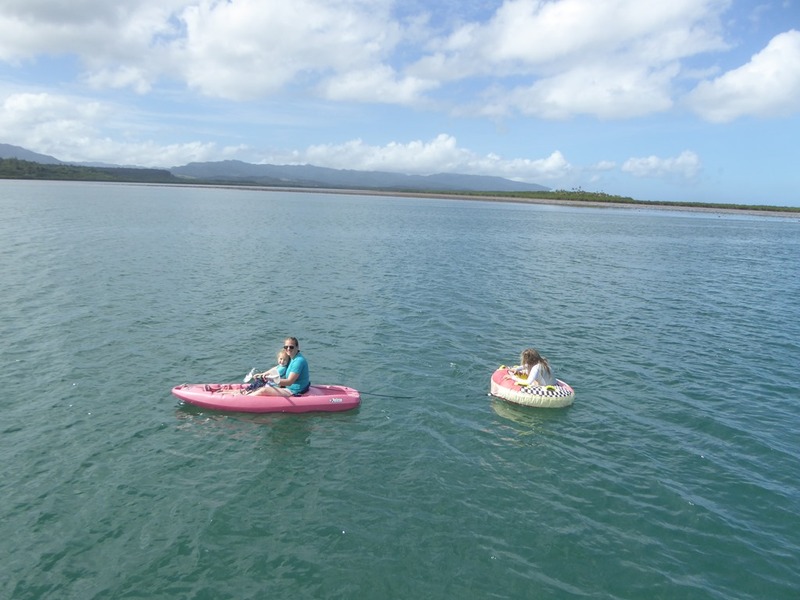 The ladies took themselves off to do some snorkelling and explored the nearby reef by kayak. I wouldn’t say the bay has much to offer in the way of life. The reef is pretty dead but there were fish enough to enthral Alice. 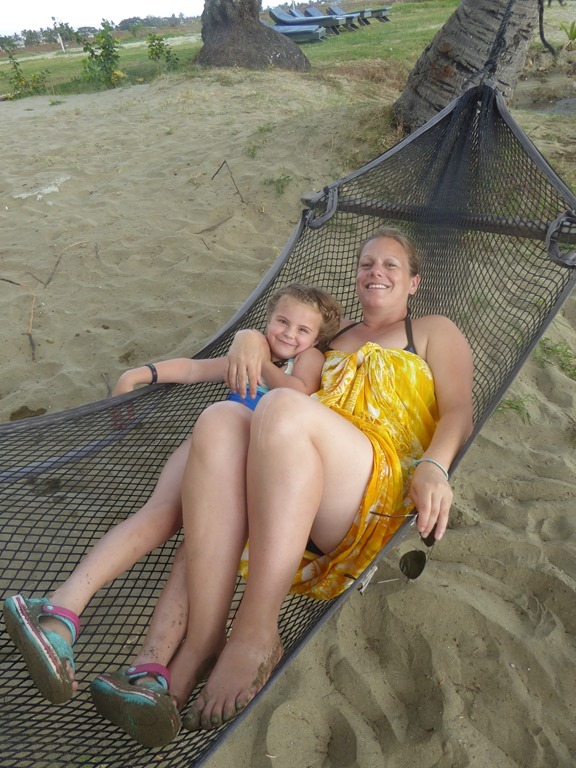 She had no problems throwing herself in and was happy paddling around in the deeper water. 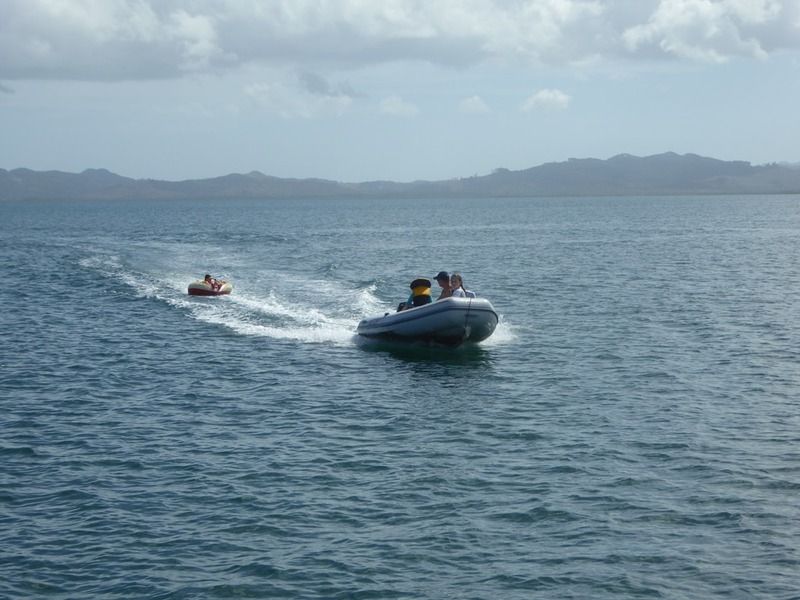 We did try landing at the one beach we could see at the entrance to the bay but we were beaten back by shallow reef and no way to land the dinghy. We snorkelled off it instead which proved to be much better with far more life than further in the bay. 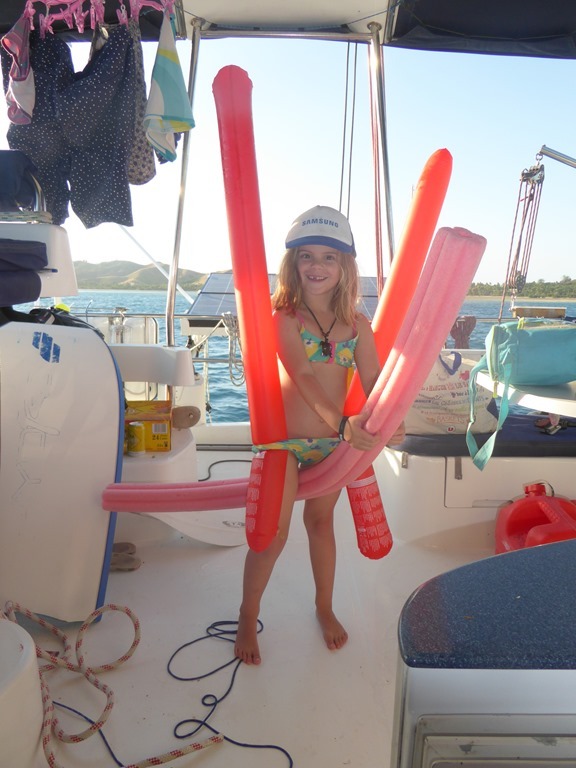 Initially we thought her shrieks that we could hear through her snorkel were of terror but we quickly realised that she was yelling, ‘Fishies, fishies!’ at the top of her voice. 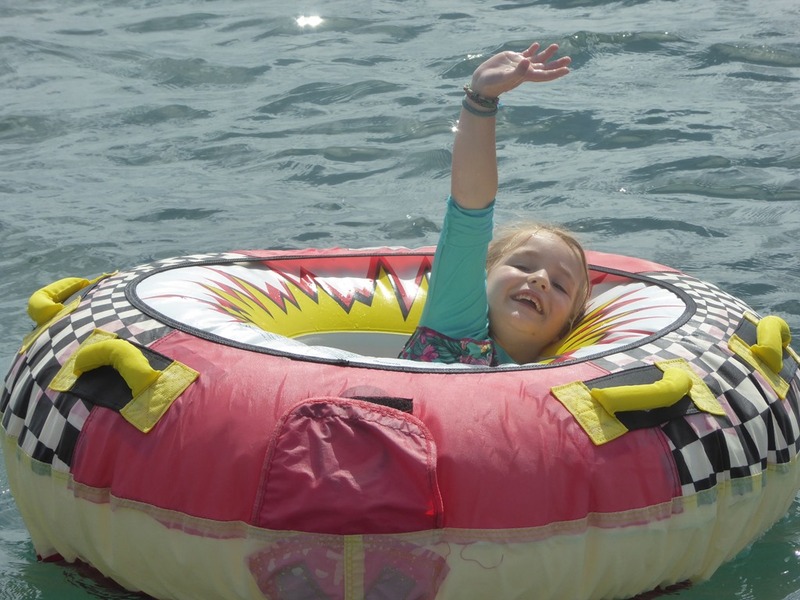 On the basis that we weren’t going to be sailing anywhere until the wind returned when the trades re-established themselves, we got the rubber ring out and Alice became proficient in hanging on for dear life. The Bligh Bight is a wind funnel, with wind being squeezed through the gap between Viti Levu and Vanua Levu. 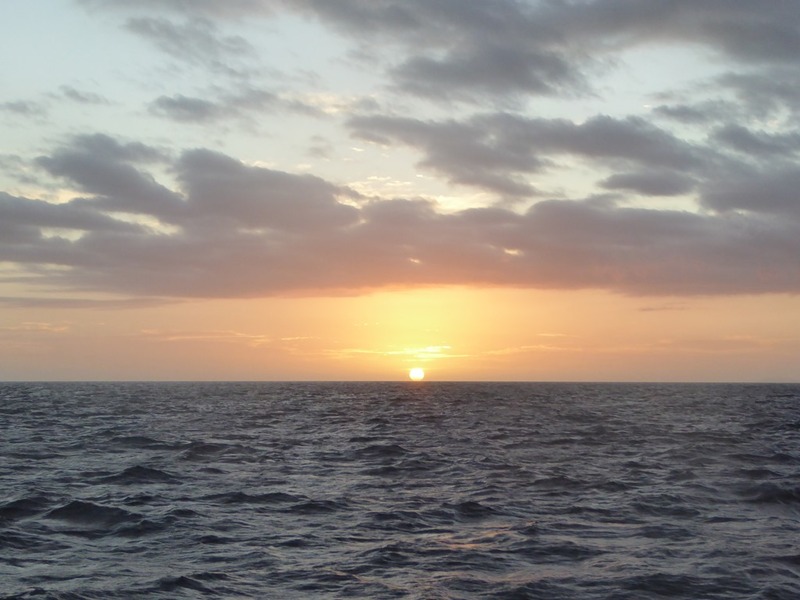 When there was 25-30kts as we crossed back from Paradise, there was 40+ howling through the Bight. With only 50 miles to cross to the lee of Vitua Levu, we left Bua Bay just before last light and headed out with not a lot of wind around. 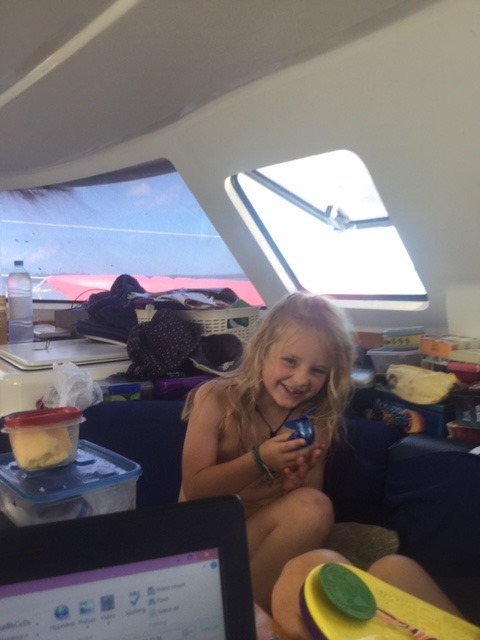 This suited us perfectly and we had a easy sail with a gradually more and more sheltered approach to the Yavena Passage, our entrance to the channel inside the reef to Nadi. We waited for an hour drifting before switching the engine on and motoring the last 15 miles to the anchorage at the entrance of Port Denerau. 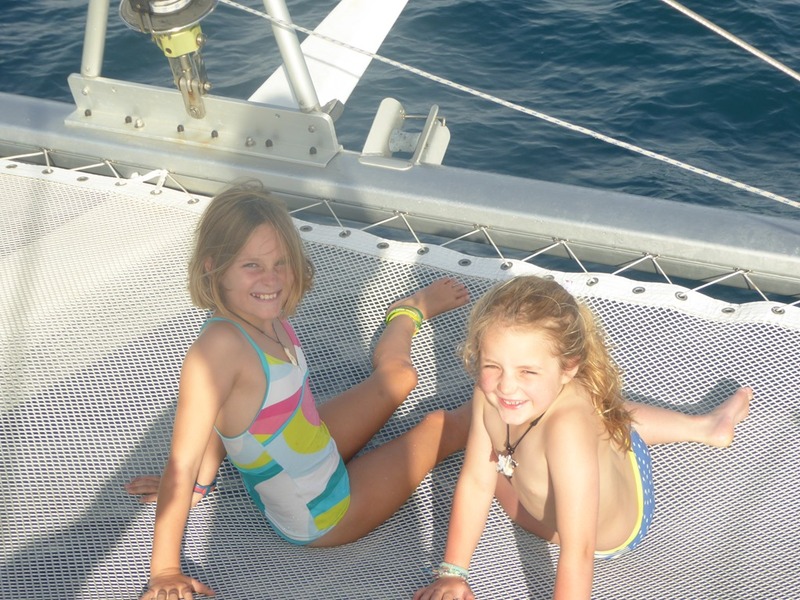 There we saw old friends, Plastik Plankton, last seen in French Polynesia at the start of the season in Raiatea. 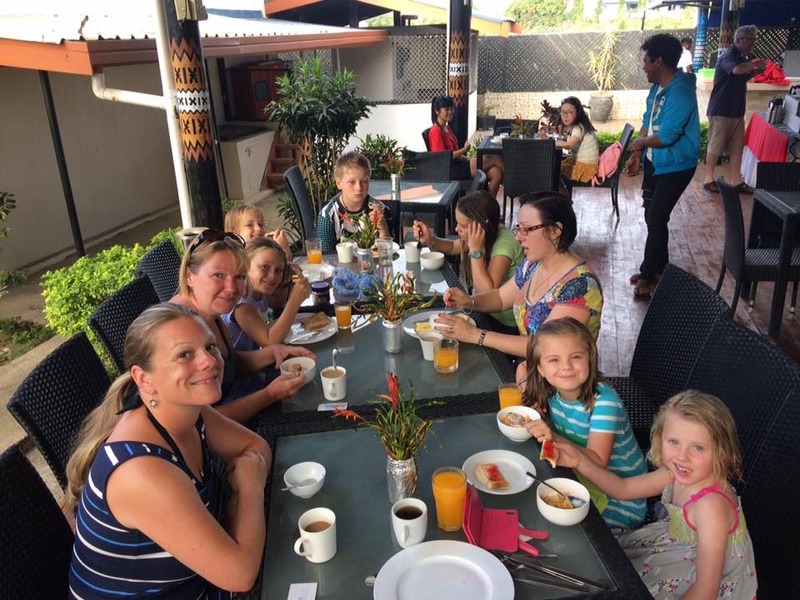 We met Fiona, Henry and Stella, who had been busy exploring the delights of Port Denarau shopping mall and Henry was fully decked out in a Nadi rugby t shirt and sulu. We met at the wonderfully named Rhum Ba in Port Denarau Marina before going authentically Fijian at the Hard Rock Cafe for Burgers. The manly looking cocktails were excellent! There was great enthusiasm for the parcels that arrived with them too. All gratefully received! The ladies spent the Sunday doing holiday shopping in Nadi, collecting the necessary tat to take home. The next day was far more fun. 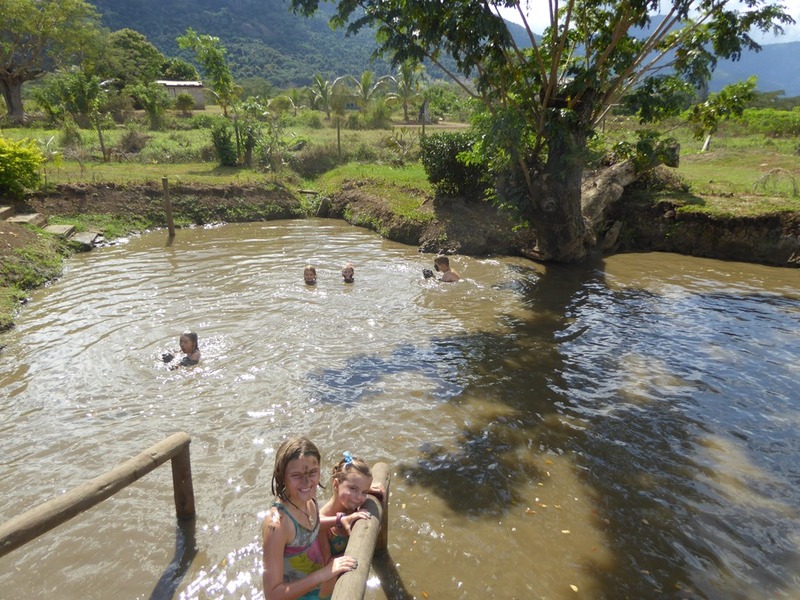 Fiji still has many active volcanoes and hot vents and one such vent comes up at Subeto Springs which is famous for the mud baths these power. Everyone had a great time wallowing around like proverbial and then the women splashed out on a massage each too. Worth every penny, I was told. Lou got a hard time for mincing around the mud. Her excuse? That she had finally got her new bikinis and didn’t want to spoil them. You may notice the difference in appearance in the photos! 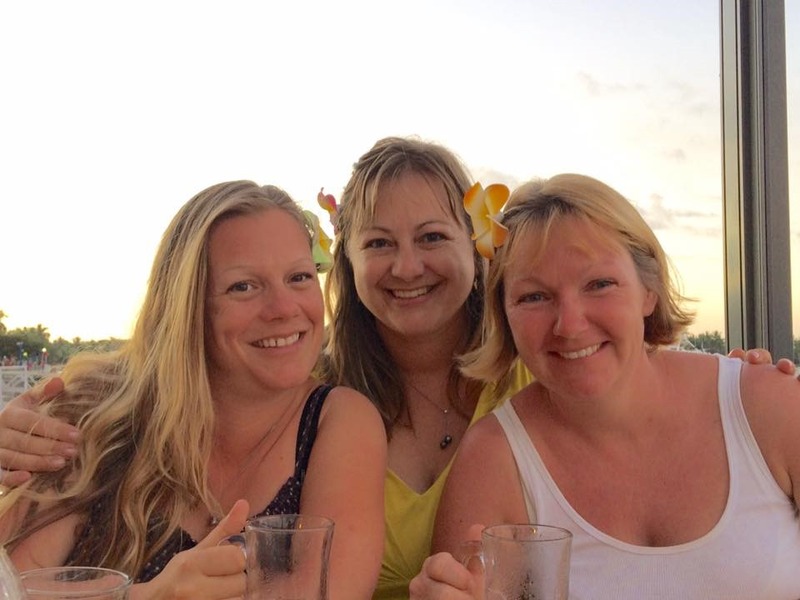 With Morag just days to do, we headed offshore with everyone onboard to visit Musket Cove, a famous resort started on the island of Malolo about 10 miles offshore from Nadi. The island started with three owners back in the 1960s. One developed the Plantation Resort, one the Musket Cove Resort and the last sold out. His land is now an organic farm which supplies some of the products required on the island. We found Plantation somewhat unfriendly but perhaps it was just the muppet the kids ran into who tried to fleece them for cash. The rest of the staff seemed fine but they were let down by the bloke we ran in to twice who was just a prat. Ah well. We went back to Musket and spent our money there instead. Their loss. Musket Cove on the other hand, was marvellous. With its own dedicated mooring field and small marina, boaties are very definitely are part of their business plan. 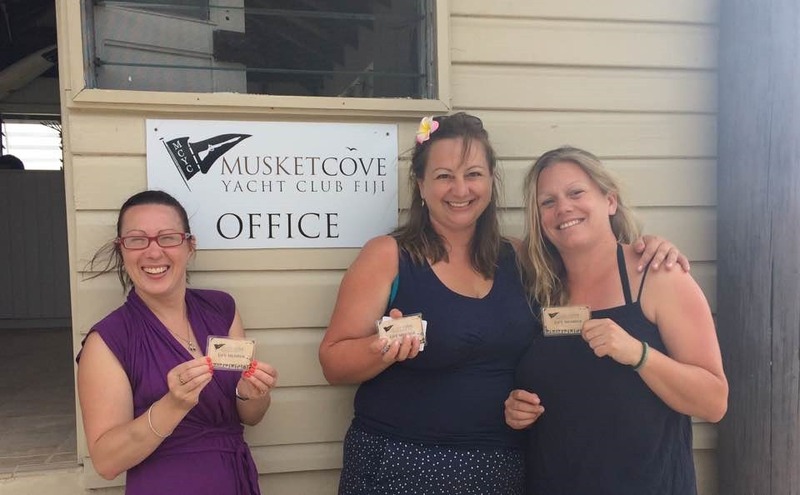 You also have the advantage of joining the Musket Cove Yacht Club ( a one off payment of $10) which gained you a nice card and saved a fortune in the ferry price back to the mainland as we found when Emma and Fiona headed back the first night. It is a great deal. The facilities at Musket are very good with a couple of restaurants, a large salt water pool, a health centre (massage and alike which Fiona enjoyed) nearly free activities for card holders and an excellent Musket Cove Yacht Club Bar down by the marina with its own BBQ cookers available to use for the grand price of $2. Cutlery and crockery are provided by the bar so we didn’t even need to wash up! 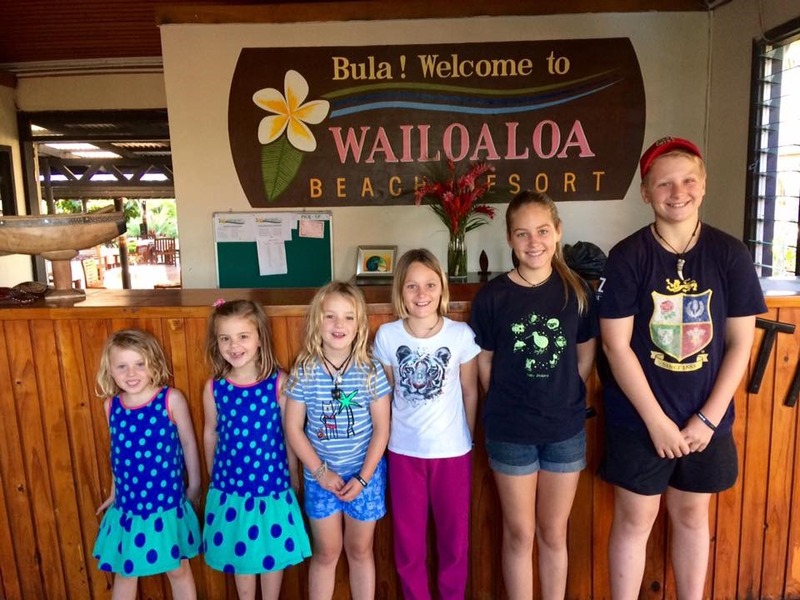 As their time with us ran out, Morag and Alice got the ferry back to the mainland with Fiona, Emma, Stella and Evie so that they could have a farewell dinner. We swapped Henry for Hannah for the night and said some tearful goodbyes. It was lovely having them both on board and we are all looking forward to seeing them again at the end of the year.